Ridesharing has arrived in the northeast, some three years after the taxi industry sounded the alarm about the coming invasion of Uber. But instead of the brand synonymous with the car-for-hire business, it's a made-in-the-north app that is getting Sudburians from point A to B. There are few URide stickers on the back windows of cars in Sudbury. But Roy McEwan is hoping to hand out hundreds more in the coming months. The local operations manager for the ridesharing service says a couple thousand Sudburians have downloaded the URide app since it launched in December and they need to hire between 15 and 20 drivers per month for the next six months to keep up with demand. "There's a balance there. 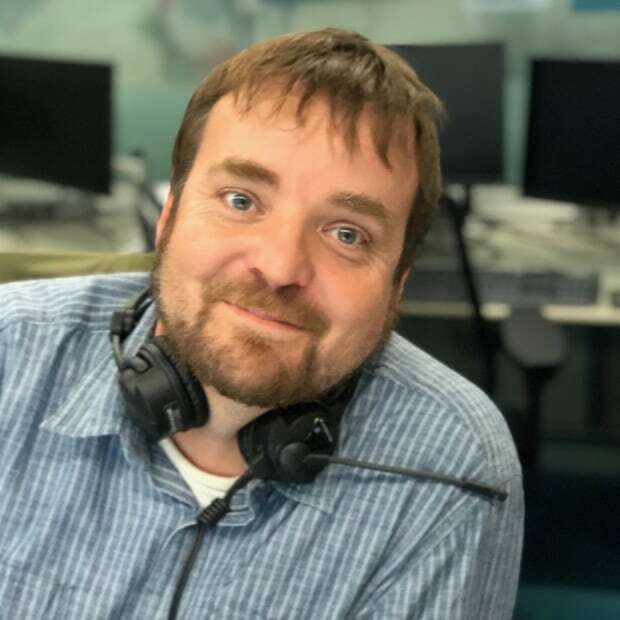 We want to keep the people happy with the available service and that wait time of 10 minutes and we want to make sure the drivers are busy too," says McEwen, who sees real potential for ridesharing in the outlying areas of Sudbury that are underserved by transit and taxis. URide currently has about two dozen drivers in Greater Sudbury, some full-timers and others who just drive a few hours after week. The company's owner Cody Ruberto, a professional soccer player who first started URide in his hometown of Thunder Bay, says he's been careful to not advertise too much in Sudbury and grow too quickly. "So, we never want to have too many passengers when we don't have enough drivers to service them or too many drivers for the amount of passengers, so it's always trying to balance those two things," he says. Ruberto says one thing that has slowed down URide in Sudbury is getting background checks for all drivers, as required by Sudbury's taxi and car-for-hire bylaws. Uber started advertising for Sudbury drivers back in 2015, which prompted the city to review and rewrite its bylaws. Lockerby Taxi owner Sharon Flinn was one of the loudest voices back then calling for an "equal playing field." In the end, the only difference between taxi and ridesharing regulations is that the city sets the rates for taxi cabs. "So we don't find them to be that much of a competitor. If they would have, they would have been here sooner," says Flinn, whose taxi company launched its own app a few years ago. "They're finding it very difficult to compete with the existing taxi companies. They work well in a very large city where there is a lot of demand for taxis." 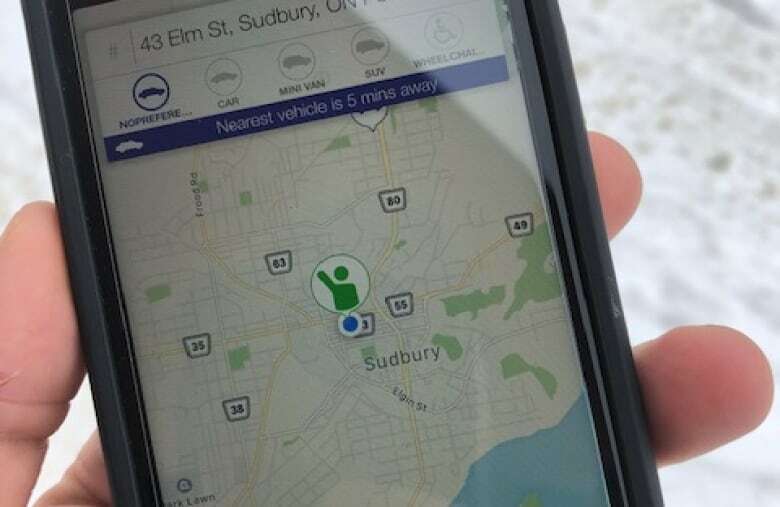 Greater Sudbury manager of security and bylaw Brendan Adair says there are plenty of Sudburians who were hoping a ridesharing service would come to town years ago, but he hasn't heard anyone claiming that the bylaw is scaring them away. "We haven't received any negative feedback from the industry or the community," he says. Uber declined an interview and said in a statement: "While we are always looking to see more Canadians benefiting from ridesharing, we don't have immediate plans for Sudbury." Its international rival Lyft provided a similar statement, saying it doesn't have "specific launch plans to share for Sudbury." "As we continue to expand in the country, we are involved in conversations with officials across Canada to better understand regulatory landscapes, transportation needs, and economic opportunity," the statement reads. Jonathan Hall, a University of Toronto economist who studies transportation, says there are fixed costs for these companies to set up in a city, no matter the size, and that "it's not as simple as turning the app on." "They're goal is to be everywhere, so I'd be shocked if they don't eventually get to Sudbury," he says. "If it's a smaller market and the regulations are hard, they just pass." The next northern Ontario market for ridesharing could be Sault Ste. Marie, where city staff are currently working on proposed changes to the taxi bylaw and looking into how car-for-hire services could fit into the transit system.